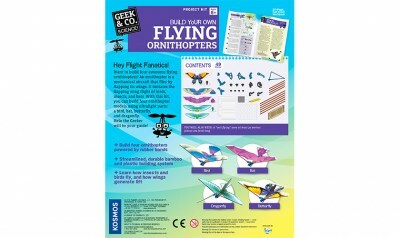 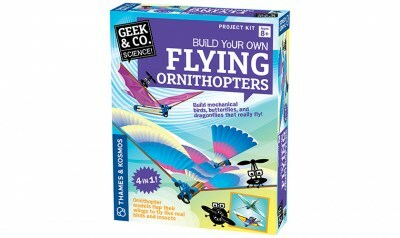 Build mechanical birds, butterflies, and dragonflies that really fly! 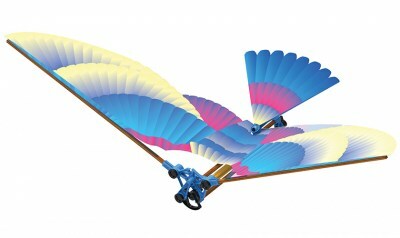 An ornithopter is a mechanical aircraft that flies by flapping its wings. It imitates the flapping wing flight of birds, insects, and bats. 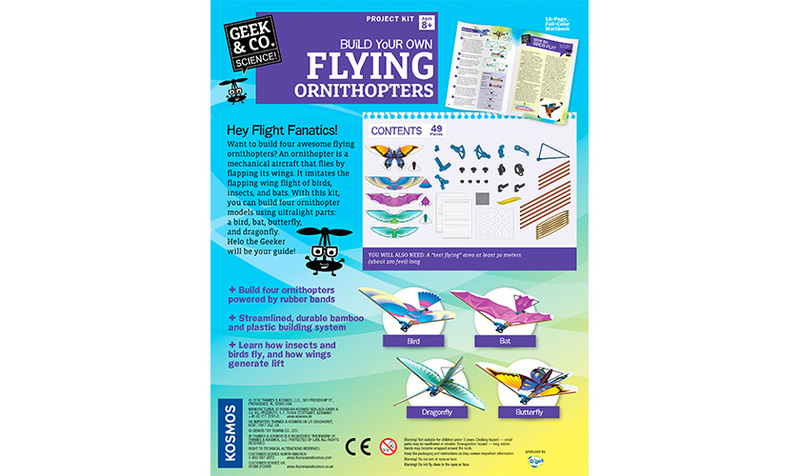 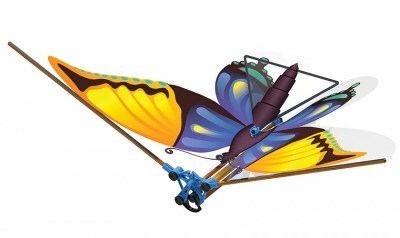 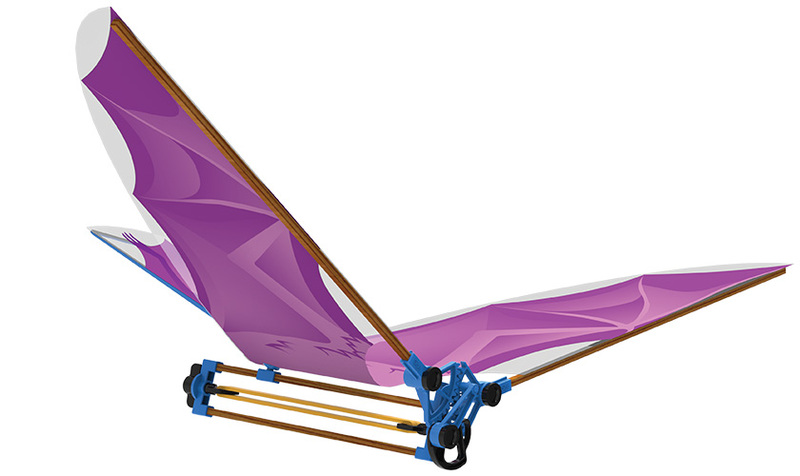 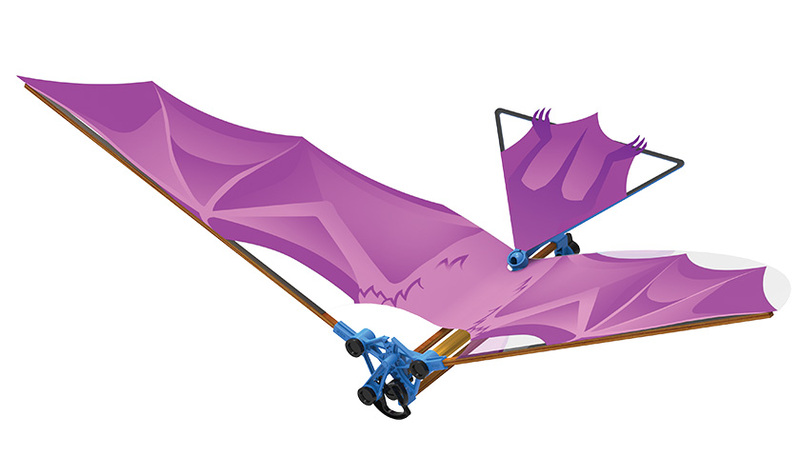 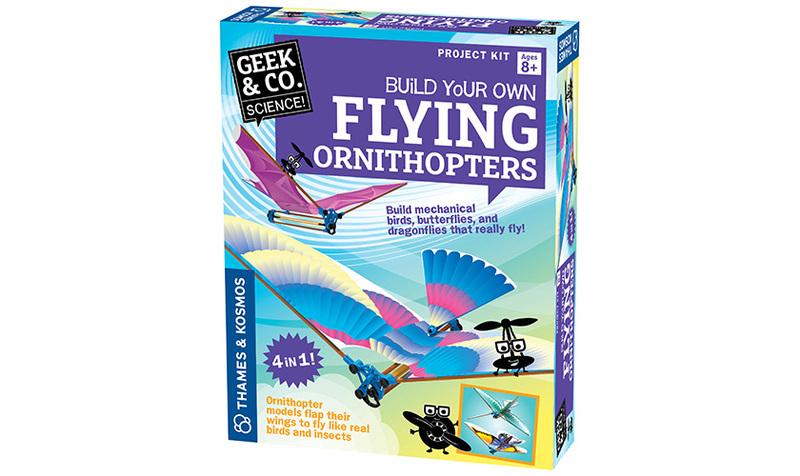 Build four ornithopter models including a bird, bat, butterfly, and dragonfly. 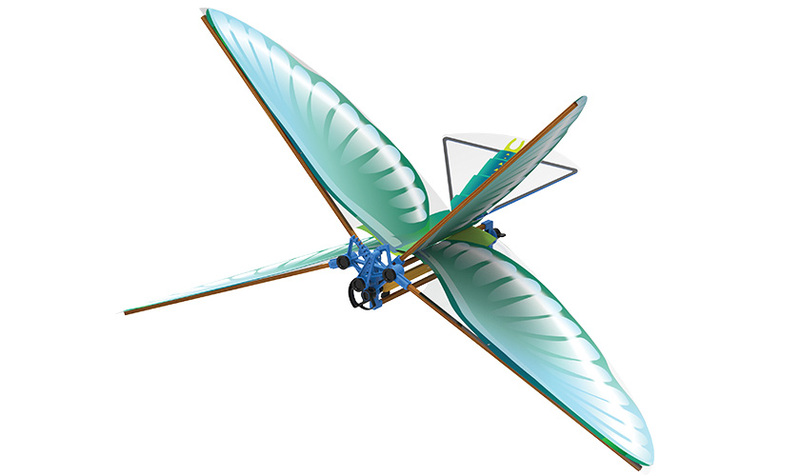 The wings work like propellers to generate lift and thrust, powered by a wind-up rubber band engine. A streamlined and durable bamboo and plastic building system enables the models to be light enough to fly gracefully through the air like winged animals.